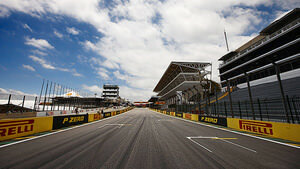 Brazil is heralded for the party atmosphere, fans raise the spirit of any season-ending race, whether the championship has been decided, or a title battle is going down to the wire. Run in an anti-clockwise direction, the circuit has elevation changes throughout, and a bumpy track to boot. The weather can play its part, and Safety Car periods are not an unusual occurrence as drivers and machinery alike grow weary at season's end. 16/10/2009 Which circuit hosts the best championship showdown?